Young Alfred is building up a hell of a circle of friends and foes in his new TV show. Making an origin story TV show based on Batman’s butler is already pretty much at the peak level of “sure, why the hell not.” As is adding the Wayne family for good measure, because clearly restraint is already out the window. Thomas and Martha are basically a package deal. As is...maybe the Queen of England? Deadline reports that Epix’s prequel series has cast Emma Paetz and Jessica Ellerby to feature in the 10-episode drama. Paetz will play Martha Kane, who will eventually become Martha Wayne after marrying Ben Aldridge’s Thomas Wayne. And then have Bruce and then die in Crime Alley presumably, because a) that’s literally all the Waynes exist to do, and b) do you honestly expect a show from the producers of Gotham to show any restraint about setting up a Batman origin story again somehow, even in a show set years before it’s meant to happen? Meanwhile, Ellerby will feature in a recurring capacity as a character known only as...The Queen. Given that this is set in ‘60s London there is a frankly alarming amount of chance that this could actually be the Queen of England. But as this is also a DC Comics show, it’s equally likely that this could be the Queen of the Royal Flush Gang, a card-set-themed group of criminals from the comics that have already appeared in both Arrow and The Flash. But the show has already teased that at least some of its villains are actually, casually, descendants of Jack the bloody Ripper, so maybe they don’t have time to get into a comic book group of card-themed thugs. And like I said, I don’t expect a Young Alfred show from the producers of Gotham to show any level of restraint on anything, really. Young Alfred fighting crime? Sure. The Waynes hanging around so they can become The Waynes? Why not. Chuck in Her Royal Highness? What the hell, go on! 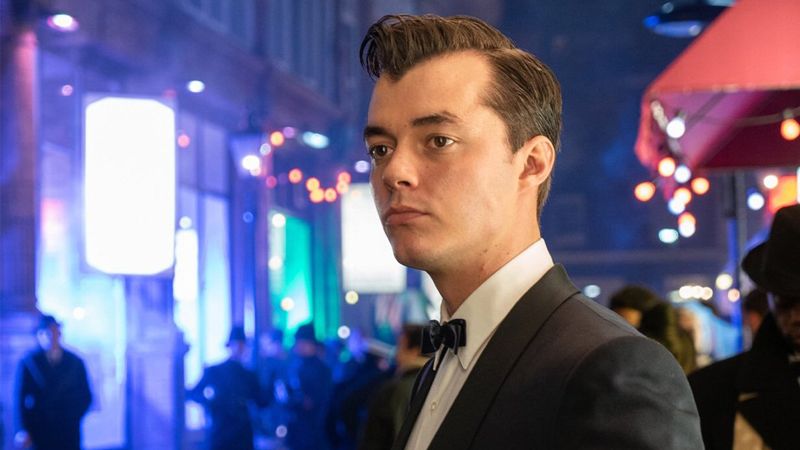 We’ll find out just what kind of royalty young Alfred has himself entangled in when Pennyworth hits Epix sometime later this year. Who Knew Alfred's Life Was This Weird Before His Orphaned Ward Put a Bat Mask on?